WILLEMSTAD - The new rates of fuel, electricity, and water are known. 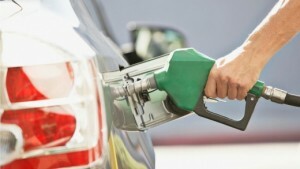 As of August 29, next Tuesday, the price of gasoline will rise by about 3 cents. The gasoline rate goes from about 1.60 guilders to 1.63. Diesel also gets about 3 cents more expensive. Now it is 1.05 guilders per letter and after Tuesday it will be 1.08 guilders per liter. Again no change in the price of propane gas: 40 guilders for the contents of a large cylinder, 8 guilders for a small one. The new prices for electricity and water will be adjusted on September 1. There is little change in the price of electricity. The lowest rate will be about half a cent per kilowatt/hour cheaper, 47 cents now, and 46.5 cents later. For water, customers will pay 6 cents less for each cubic meter in the base rate. The rate goes from 7.37 guilders to 7.32 guilders.